How do you become an everyday player at the professional level? What should you do if you you’re given the opportunity to play both professional and college baseball? What is it like getting your first big-league at-bat off of a future Hall of Famer? These are some of the questions that I will be asking professional baseball player Matt Antonelli in this episode of AoB Experts. 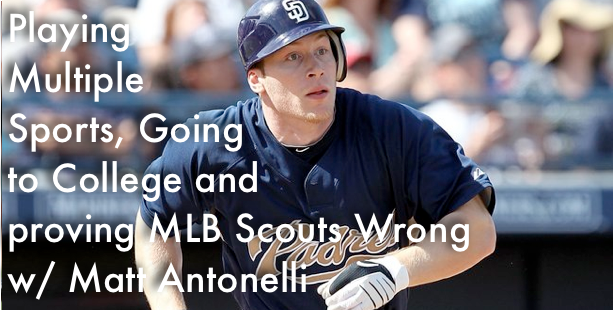 Make sure you take a look at Matt Antonelli’s sweet swing below the interview video. Don’t forget to let me know what you thought of the video. Leave a comment and don’t forget to say hi! Tell me what you liked about the video. I’d love to hear your feedback! Don’t forget to hit the LIKE button before you go! Next post: Are You Sitting the Bench? Master These 4 Baseball Tips!